Small Wooden Boxes I made 5 for a client to give to employees as awards. 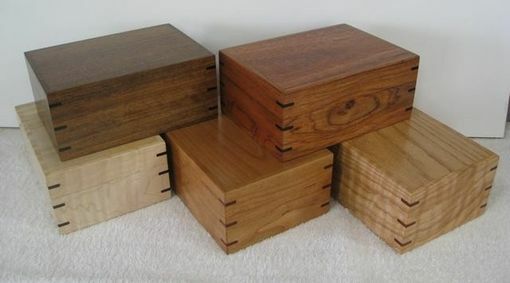 I made each from a different species of wood. 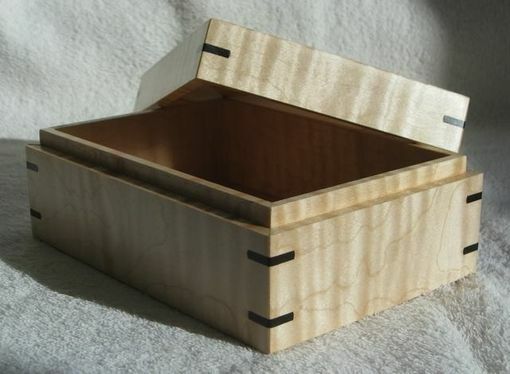 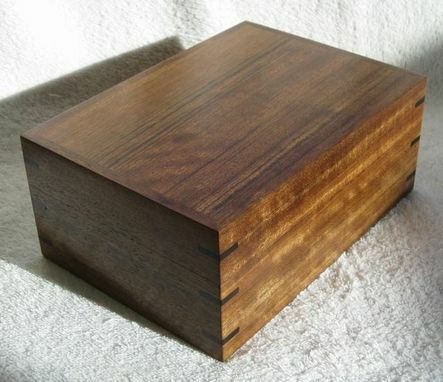 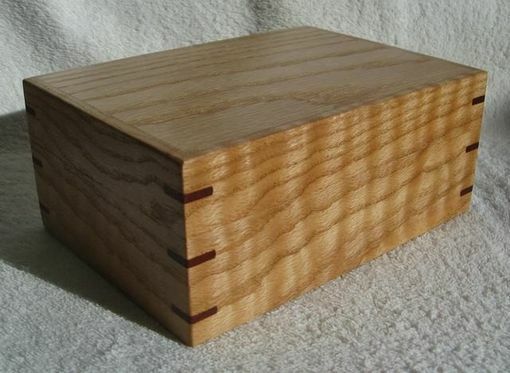 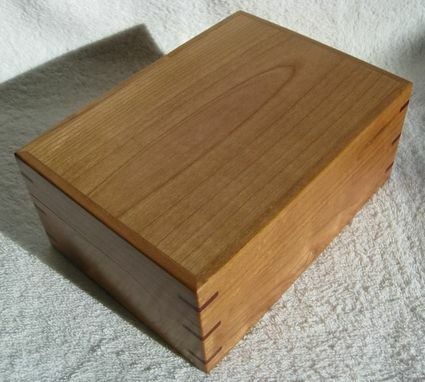 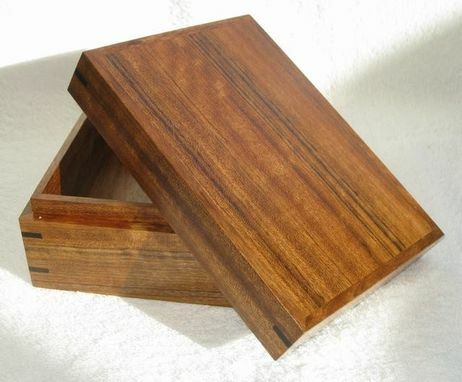 Size: 5"w x 7"l x 3"h. I used ebony for the corners on three and blood wood for the other two.